The Wild West is no stranger to fast-paced action and chaos and thankfully Sticky Bandits has followed suit. The Cowboy Villain Wild symbols are a huge feature in this game and can be the deciding factor between having a good or bad experience. Sticky Bandits has a 5 x 5-reel setup and has a maximum of 30 pay-lines that can be activated at once. The bonus games and features within this slot are more than enough to keep the big wins rolling in. Take a trip to the Wild West and see if you make it out in one piece. 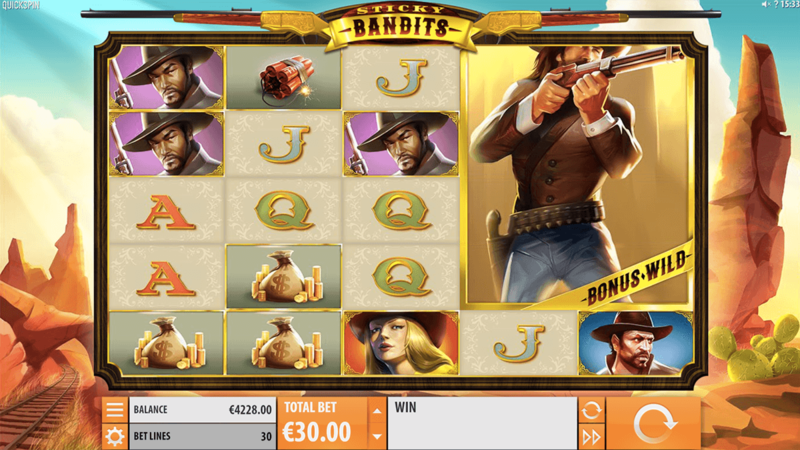 Click here to find out more about Wizard Slots and what we can offer. The Sticky Bandits base game is definitely one of the more unique formats, the 5x5 setup has 30 pay lines to give you some winning combinations. The lower value symbols are high playing cards, such as: J, Q, K and A. Whereas, your medium value symbols are dynamite, bags of gold coins, bandits and their blonde partner. 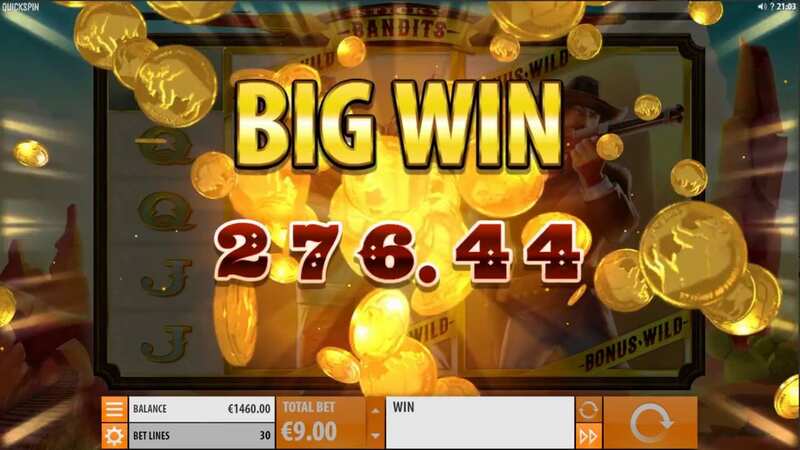 As for your bonuses and features, the Massive Cowboy WILDS and Free Spins BONUS are capable of delivering some great wins. · MASSIVE WILDS – Massive WILDS act as both a Wild and a Bonus symbol. These WILDS also substitute for all symbols. · FREE SPINS BONUS – To activate the Free Spins BONUS you have to hit a BONUS symbol on reel 1 and the Massive WILD symbol on reel 2 or 4. Once you’ve triggered the bonus you’ll receive 7 free spins. The WILD symbols that trigger the BONUS will stay wild for the duration of the bonus. Also, if you hit a WILD symbol during the BONUS, that WILD will remain for the duration of the bonus. Unfortunately, the BONUS symbol isn’t active during the Free Spins BONUS. Sticky Bandits is definitely a slot that attracts a majority of its players from the Massive Wilds and Free Spins Bonus. Not only do the Massive Wilds play a big part in the bonus, but the base game pays significantly more if you can hit the cowboy villains.